Friendship is what was behind many adventures and heroic deeds. 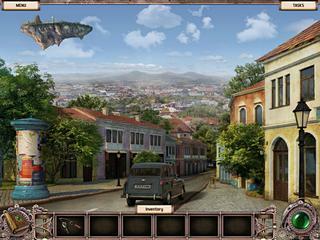 Friendship is what behind your adventure in this hidden object puzzle adventure game. Inbetween Land is going to take you to the places you will never find in reality. The game keeps you attached because you have any tasks to do along the way. In Inbetween Land, you play as a friend of Mary. She was your childhood friend who has gone missing. Trying to find her you come across an artifact that opens up a portal to another world. You end up on a traveling island with a totally different civilization. No matter how overwhelming this might be, you atill to find your friend there and get back. This story is told through some beautifully draw graphics that change a bit in their style and great voice overs. The game keeps you attached because you have any tasks to do along the way. Lots of time is spent on finding items to use later. You have to put them together sometimes. 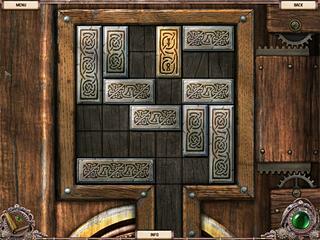 The same goes for the hidden object levels. Lots of interaction there. There is no map to help you find your way, but you have a journal that tells you the tasks to accomplish, the difficulty level of which is adjustable through three modes available. The game is worth your attantion. The trial version will help you make your mind if that's one of what you like. This is Inbetween Land review. Download this game here.